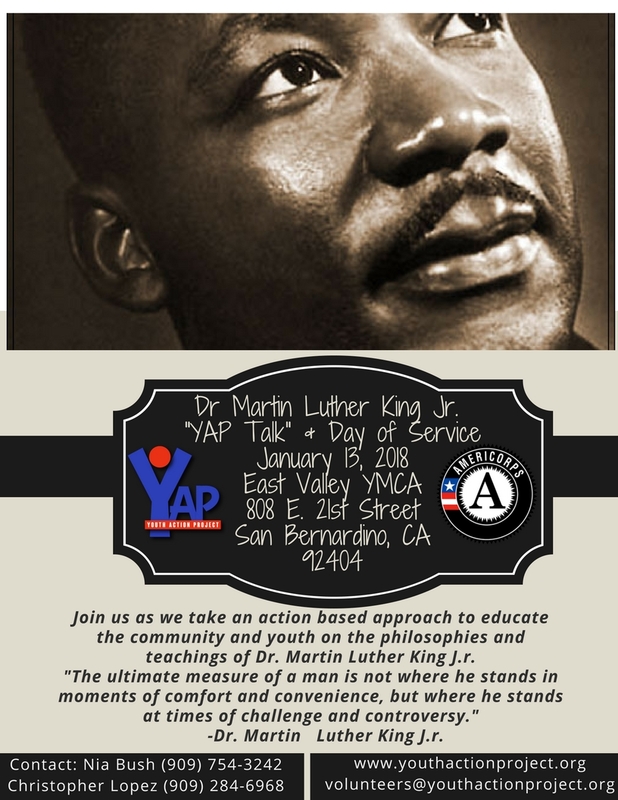 On Saturday, January 13, 2018, Youth Action Project will host an event in honor of Dr. Martin Luther King Jr. to educate the community and youth on his philosophies and teachings while promoting an action-based response to continue his legacy and service. The event will take place at the San Bernardino Family YMCA from 10:00 am until 2:00 pm. 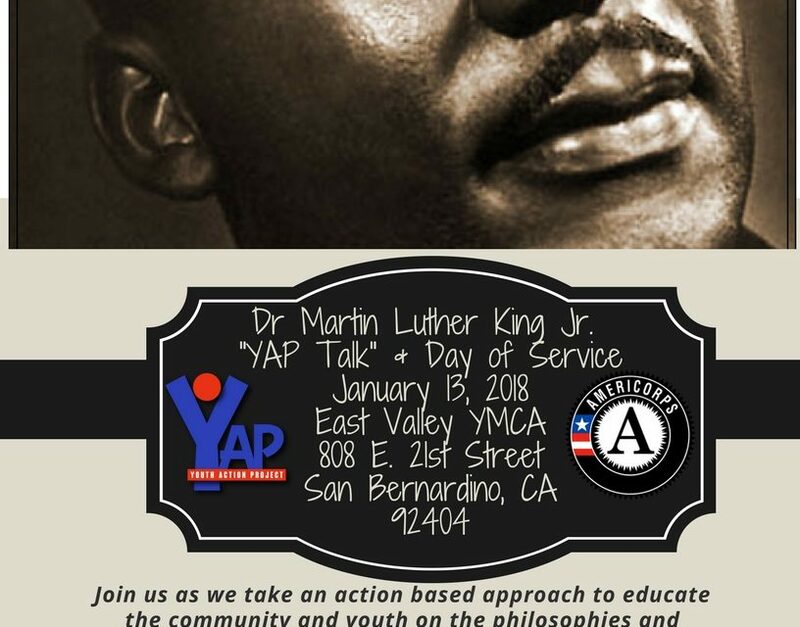 Following the YAP TALKS, attendees are encouraged to join in a community service project centered around the issue of homelessness in San Bernardino. Volunteers will assemble 500 “Necessity Bags” that include personal hygiene products for the homeless community in San Bernardino. Volunteers will also prepare 500 peanut butter and jelly sandwiches to feed the homeless community as well. The event will feature student led entertainment and a Basketball tournament between the SBCUSD Police Department and students from Pacific High School, San Gorgonio High School, Arroyo Valley High School, and San Bernardino High School. Youth Action Project is excited to host a community event that not only remembers and honors the dream of Dr. Martin Luther King Jr., but galvanizes a diverse group of people to give back and make a positive difference.